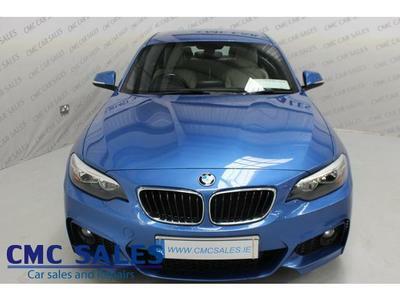 CMC Limerick - 2015 BMW 2 Series 2.0 218D M SPORT *Stunning Estoril Blue* FULL BMW service history*2 year warranty*Up to 5 year finance available*EASTER SALE NOW ON ! 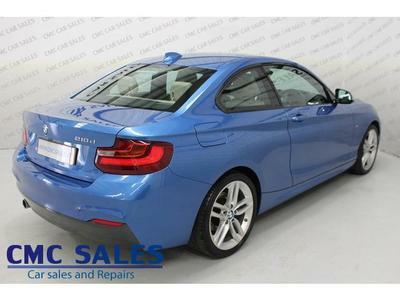 It’s the follow-up to the 1-Series, much like the 3 Series coupe being supplanted by the 4 Series. Although this is more than just a mere renaming. 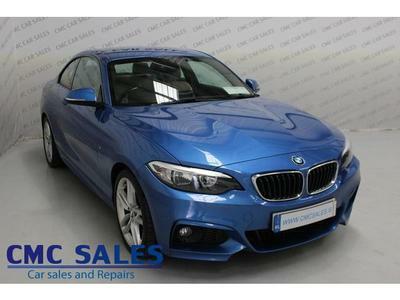 The 2 Series Coupe is a whole new car and brings its own charm and charisma to the table. You only have to glance at it to recognise that. 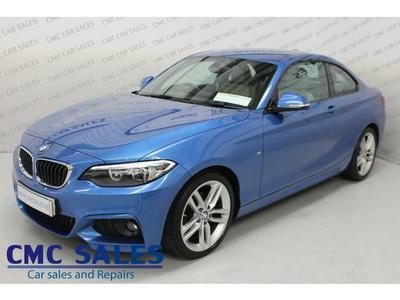 It offers more in terms of performance, practicality, and overall efficiency. 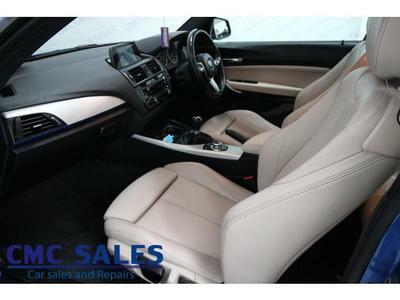 As well as having a strong, good-looking exterior - the cabin is fantastically built too. 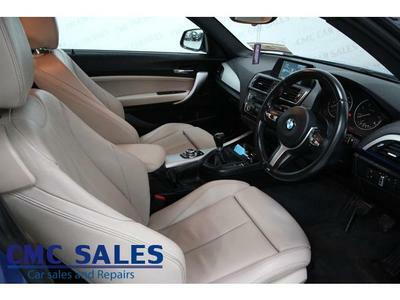 Everything inside looks and feels top quality and the central console has been very cleverly designed. Front and rear passengers will enjoy plenty of leg and head room as well as very comfortable seats. 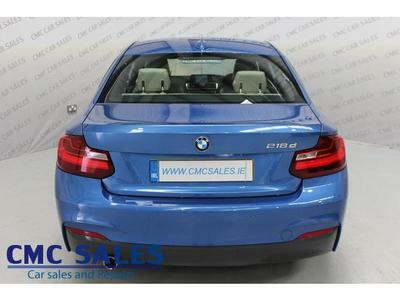 There is also an impressively big boot that can be made even bigger by dropping the back seats down. 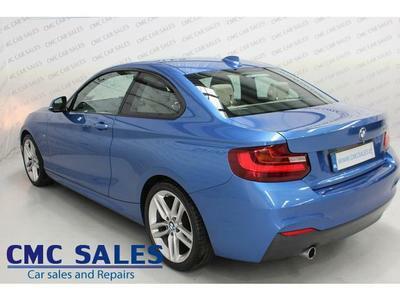 Even without doing this, the 2 Series boasts a bigger load space than that of its nearest rival, the Audi TT. In terms of performance, you won’t be disappointed. It has really responsive and well-weighted steering, smooth ride quality, and it grips pretty well on corners.